The Big Wobble: Australian heatwave: Temperatures are set to climb next week as Marble Bar hits a blistering 120F (49.1C) Tarcoola also hit 119F (49C). Australian heatwave: Temperatures are set to climb next week as Marble Bar hits a blistering 120F (49.1C) Tarcoola also hit 119F (49C). 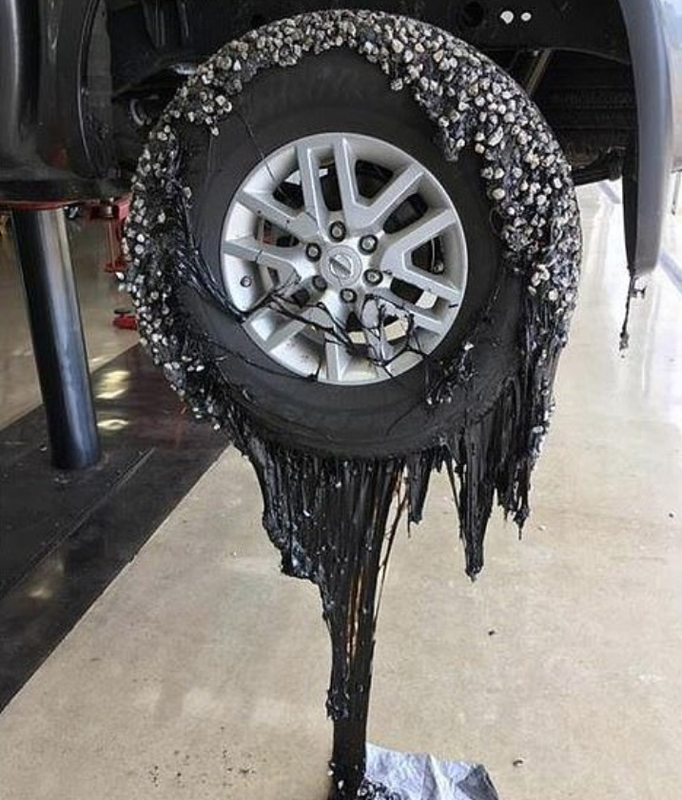 Photo Marco Nero, Roads melted across Australia as temperatures soared into the 100s for the fifth consecutive day amid a record-breaking heatwave that has broken records across the country. Marble Bar, in Western Australia, recorded the highest temperature of the last seven days with a blistering 120F (49.1C) on Sunday, marking a January record. Tarcoola, in South Australia, also hit 119F (49C). Australia is battling through its 'most significant' heatwave for 80 years that has seen temperatures soar above 104F (40C) for six consecutive days across the country. Temperatures are set to climb next week as heatwave conditions persist in parts of the country. Australians have been offered a little reprieve this weekend before sweltering conditions to return to the southeast. This week temperatures soared to as much as 15 degrees Celsius above the average, with 14 temperature records broken in the populous state of New South Wales (NSW) alone. In NSW, the small town of Noona broke a different type of record - the highest minimum temperature recorded on any given day, after the mercury failed to fall any lower than 35.9 degrees Celsius (97 degrees Fahrenheit) overnight, according to the Bureau of Meteorology. Although the weather event has since been downgraded from "extreme," low-intensity heatwave conditions will persist across much of the country this weekend. Sydney and Canberra will see "severe" conditions, with temperatures forecast at almost 40 degrees C on Thursday and Friday. The heatwave has allowed bush and grass fires to persist. The Rural Fire Service in NSW reported 78 fires, 40 of which were not contained. A Total Fire Ban was declared through the state due to windy conditions, prohibiting solid fuel barbecues and open fires from being lit. The heatwave has also affected wildlife, with reports earlier in the week of a mass die-off of fish in the state. The Australian Open reviewed its extreme heat policy in December last year, after criticism it wasn't doing enough to protect players' health. The new heat stress scale, informed by research by the University of Sydney takes into account multiple factors including air temperature, the strength of the sun, humidity levels as well as wind. Forty-degree temperatures also affected the Santos Tour Down Under cycling route, with organizers cutting short the second stage by 26.9 kilometres. "The safety and welfare of the riders, spectators and everyone involved with the race is always our primary concern," Race Director Mike Turtur wrote in a statement. "All parties have agreed it would be sensible to shorten the stage." News of the extreme weather events reached Germany earlier this week after the body of German tourist Monika Billen was found just outside Alice Springs, in a popular hiking area in the outback. The Cologne resident wrote to her family days before her disappearance, noting she liked to take "extensive walks" despite the heat. Police are investigating the circumstances surrounding her death.